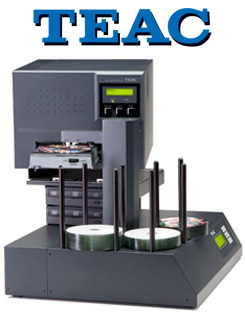 TEAC’s new Auto-Publisher Printing is a full automated 2-DVD Drive Publishing System, with choices of TEAC 4800dpi color Inkjet Printing or TEAC color Dye-Sub Thermal. It is easy and quick to automatically copy and print up to 220 discs. Advanced Robotic Mechanism is used to transport discs from the input bins to the integrated TEAC Printer and then to the output bins. 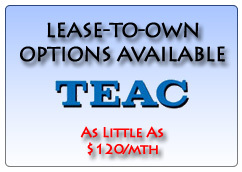 Look to the TEAC Color Printers for the most remarkable print quality, speed and performance. 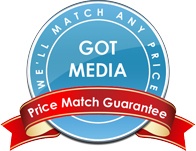 Incredible print resolution, the best in the world, all of your discs will have the sharpest text, graphics and photos. The colors are bright, vibrant and truly professional photo-quality, creating a positive, lasting impression. Both of the TEAC’s Color Disc Printers are among the most intelligent printers on the market today. Not only will it tell you approximately how many discs it will be able to print based on the image you have created, but also knows the differences of the cartridges loaded to maximize your print quality! Now that’s smart! (1) Versamax - CMY color ribbon prints on virtually all Thermal Discs and many shiny flat Silver Discs. Lowest Cost. 500 Discs printed per ribbon. Most popular ribbon beacuse of media flexibility,cost and great look. (2) Dye-Sublimation (photo) has highest resolution of any printing method. (3) Black Ribbon - Create monochrome photos. Gets 2000 Discs per set. (4) CMY& K Ribbon -Gets 500 discs per set. (Blue Book aka Enhanced CD, CD Plus), MultiSession, Video CD (White Book), Track At Once (TAO), Mixed Mode, Session At Once (SAO), Kodak Photo CD, Disc At Once (DAO), Hybrid, CD Text, ISO9660, UFS, HFS.